You know your makeup is going to make it to the favorites, if your man aka husband notices a difference in you! Well, hello, hello, I feel like I haven’t blogged in such a long time, thanks to the horrible unpredictable weather getting on to my family’s health and a bit of laziness too, haha. But I’m back with loads of blogpost to bombard your bloglovin’ feed if you follow me there. Yeah, so that’s my little explanation for being horrible at keeping up with blog posts. So today I thought I’d kick start with my April favorites. And without any further a due lets get on with it. Liz Earle Instant Boost Tonic : Now I have been suffering with few crazy pimples or stubborn white heads, I don’t know what they are, but they have seemed to make a semi permanent residence on my right cheek and it has been frustrating the hell out of me. So I thought I’d switch up few things in my skincare and I started using this tonic, which seemed to have been soothing the redness around that area, nothing major, but it has definitely calmed my skin. Plus I really enjoy Liz Earle products in general, as they are so gentle to the skin. 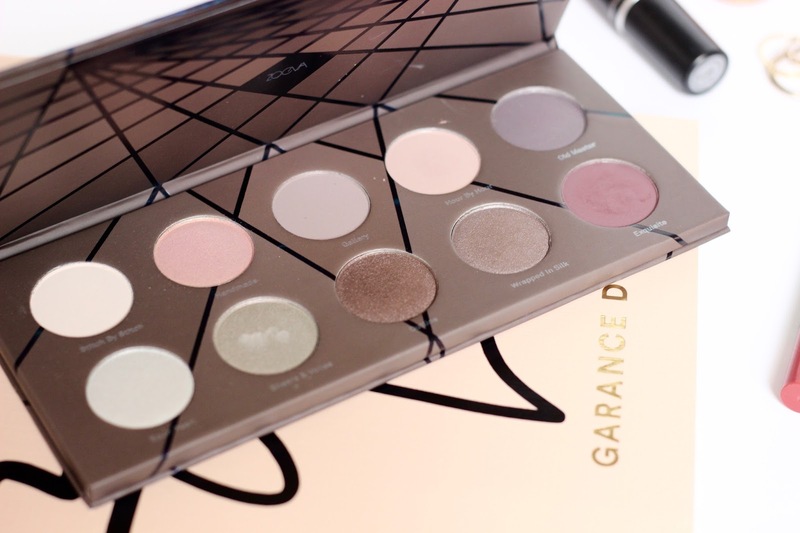 Zoeva En Taupe Eyeshadow Palette* : Now I have to confess when I received it in December, I wasn’t really crazy about it up until the last month, when I actually decided to give it a go. I felt grey’s and cool toned eyeshadows really don’t go well with my skin-tone, but I was quite surprised that this didn’t look ashe-y or remotely as bad as I pictured it on me. And honestly this has been the only eyeshadow palette I have been reaching out for this past month. My favorite shades out of this palette are handmade, outline, exquisite and wrapped in silk. Burberry Blush In Poppy : If you have been skeptical of cream blushes then you need to try this one. Unlike any other cream blush, this has a beautiful cream-gel-mouse-y texture, with a nice cushiony bounce to it. And the best thing about this is, you can apply it on the go and it blends like a dream. 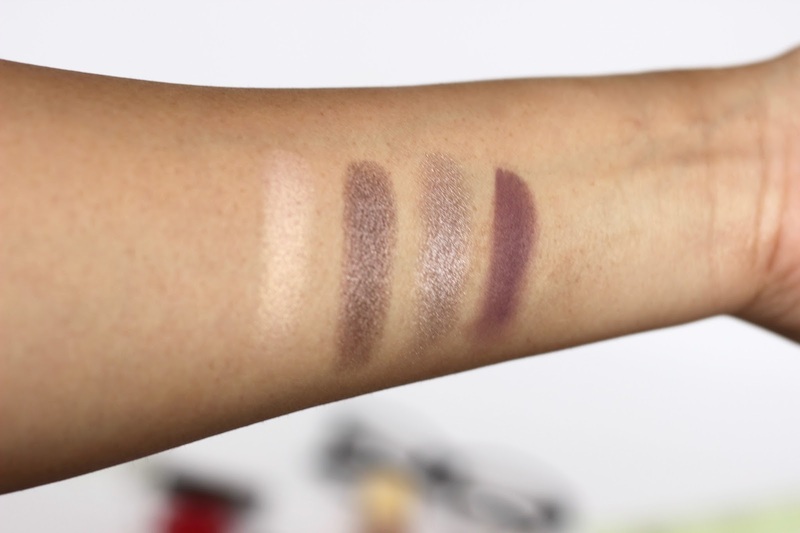 Despite the intense shade, that it looks like in the pot, it comes off as the most beautiful soft flush on the cheeks. The velvety blurry matt finish that it gives is just perfection! Estee Lauder Bronze Goddess Illuminator* : Now this is truly drops of liquid gold for summer. I love that its such a light weight radiance booster and the way it enhances the tan its just mesmerizing. It just interacts with the skin beautifully giving it the lit from within glow. Topshop Highlighter in Polished : I believe this was a limited edition shade in the cream highlighter range from topshop (or I could be completely wrong, don’t quote me on that). 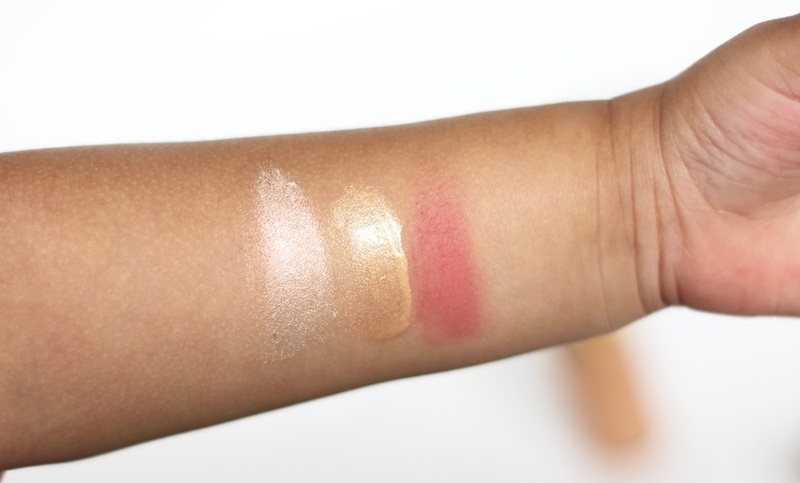 But I have been absolutely enjoying this beautiful complex shade highlighter, I say so because I feel in some lights it has an evident opalescent oyster pinky tones and in some lights its has a dominant yellow reflection. But whatever iridescent it has in it, its universally flattering and gorgeous, gorgeous on the cheeks and for the price, its a darling. 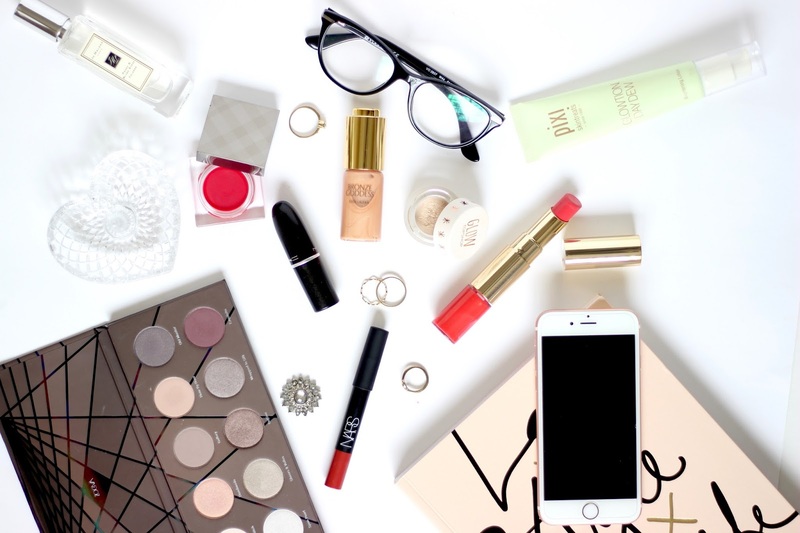 Mac Mehr : A perfect every day matt, there is no better description than you need this in your life for those faff free makeup days, when you want to look absolutely put together. It’s an essential lipstick in every mac lovers collection. Nars Dolce Vita : This one was an impulsive buy, thanks to my girlfriend, who showed it to me and suggested it would look lovely on me, and guess what she was absolutely right, now thats the joy of shopping with a friend who loves makeup as much as you do. They get you hooked onto the things you didn’t even think you need. 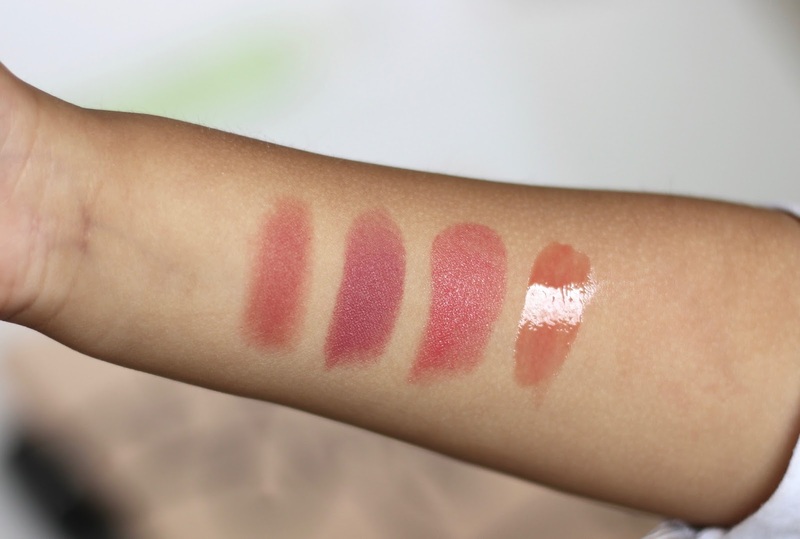 I have to admit its the most comfortable matt lipstick formula I have ever tried, it almost feels like you are wearing nothing on the lips but you have that beautiful hint of corally shade that screams spring perfection. Definitely worth checking out. Estee Lauder Lip and Cheek Glow in Fuchsia lights* : There is seriously some problem with me, I’m a huge lip product junkie and this feeds my lipstick hungry soul haha. I have been always a huge fan of glossy lips, as they look so fresh, and youthful and you can never go wrong with it I feel. And this one is yet another one of those perfect on the go lip and cheek product, and I absolutely LOVE IT! Specially the gloss part of it, hmmm! Aeropostale Watch : This one was yet another one of those impulsive buy, I love watches, I can literally sleep with one on, and this one had a little Michael Kors vibe to it, and the blue strap and rose gold detailing just made me pull my card out of my wallet, without even a second thought. However I have to say the quality is no where near MK, then again you can’t really expect that quality for 15 bucks, pffft! But none-the-less it’s a great every day watch, and I have gotten a few compliments over it, so you know, you can’t beat this one. Michael Kors Bracelet : Keeping on the theme of arm candy? I love pairing this watch with MK bracelet, considering me, who has never been a bracelet/bangle/arm-candy sort of a person, wearing a bracelet is h-u-g-e thing for me. And this one has been living on my arm every since I got this watch. And I can’t get enough of this combination. What has been your favorite this past month? Also I’m on a shopping spree and I would love some recommendations from you guys in the jewelry department, specially layered necklaces if you know of a brand/etsy seller and links please do share it in the comments below, I’d love your suggestions!